Now that summer is finally over and temperatures are falling, a sauna session in the coming months is a blessing for body and soul. 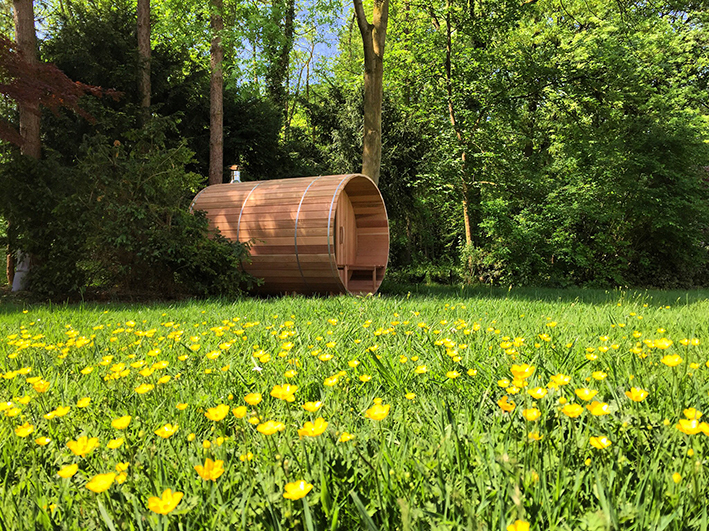 One of the advantages of a sauna barrel in the garden is the direct cooling of the body once you get into the fresh air. Even in the winter, you will not catch a cold if you step directly into the cold air from the sauna barrel. Why use the sauna barrel in the summer? A sauna session is wonderful in every season. Whether it is cold outside or hot, the sauna bar always has its advantages. But why also actively enjoy the sauna barrel during the summer months? Cold water works wonders for the body. Cold water after a sauna session is the best and most authentic wellness experience available. During the summer months it is a shame to leave this pleasure away. Read more: Why is the sauna good in summer?